OCZ's ﬁrst-gen Core Series is still punchy, and a lot cheaper than the Intel X25. Read times – both in HDTach and for TF2 loads – are encouraging, although fail to better some rivals. 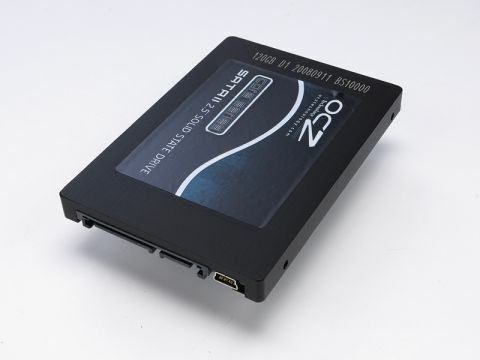 The OCZ Core Series is the fastest writer of the SSDs we had on test, but still lags way behind most HDDs. We'll make a guesstimation and say that it's worth holding out for the V3, but either way it's probably one of the best speed/ capacity compromises we've seen. It's a more sensible purchase than the Intel X25 and gets bonus points for the built-in, bus-powered USB port, too.